You may know a little girl who always wanted a pony, or maybe you were that girl. Sarah Lewensohn was. At a young age, she took lessons and participated in local competitions, but that is as far as her riding went. However, she carried her love of horses and dream of competitive showing through college, marriage, children and even her husband’s death before she returned to riding and owning a horse, Cleggan (aka Cowboy), a buckskin-colored, Irish “Hunter”and former jumper. According to Lewensohn, horses that compete in jumping shows are classified as either a Hunter or Jumper. The difference is Hunters are judged subjectively on their jumping style and movement, conformation and overall picture, as well as how well they do over a series of jumps. Hunter classes were originally designed to test the qualities necessary in a field hunter: excellent manners, efficient and comfortable gaits, and a good, safe jumping style. Conversely, Jumper judging is entirely objective and scores are based on missed jumps, fallen rails, faults and ultimately the fastest time with the cleanest round. “Some people like to say Hunter jumping is the more artistic of the two divisions,” Lewensohn explained. During a prospective buying trip to New York for a second “Hunter,” Lewensohn and her trainer had a list of horses they wanted to see and ride. “At the second barn, I rode one I really liked, but at the last fence of the trial ride I popped out of the saddle, landing hard on the ground below me,” Lewensohn recounted. “I had fallen before, but this time it was bad. I had to be taken to the hospital in an ambulance. While waiting in the emergency room, I told my trainer the horse was really talented. Long story, short–I bought him,” she added. The emergency room physician confirmed what Lewensohn suspected. She fractured her right humerus (upper arm bone). According to Lewensohn, her arm was braced and put in a sling so she could fly home for further treatment. “I spent the next day asking friends and athletes for the name of the best orthopaedist. The one most recommended was Dr. Steven Chudik with the Shoulder, Knee and Sports Medicine Injury Clinic,” Lewensohn stated. She took their advice and scheduled an appointment with Dr. Chudik. “X-rays of Sarah’s arm showed she had a displaced (separated), angulated (out of alignment), midshaft (middle of the bone) fracture of her humerus,” Dr. Chudik explained. “Many humerus fractures can heal on their own, but the severity of Sarah’s fracture would not heal properly on its own. We discussed the various treatment options. We decided surgery was the best care plan, so I detailed the procedure I would use to align the bone and hold it in place so she could start physical therapy right away and expedite her return to activities,” he added. Dr. Chudik also discussed the partial tear of the supraspinatus muscle in her arm that she injured several months earlier from a fall. “The supraspinatus is one of four muscles that comprise the rotator cuff. It runs across the top of the shoulder joint under the clavicle and acromion (the bony roof of the shoulder) attaches by its tendon to the humerus,” Dr. Chudik explained. “I told her the tear would not be a factor in her humerus repair surgery. She should continue her physical therapy to strengthen all the rotator cuff muscles and stave off a separate rotator cuff surgery for a while as long as she remained pain free,” he recounted. While Lewensohn recuperated from her surgery, she wore a sling for about four weeks, went to physical therapy and did home exercises to help her regain strength and motion in her arm. After what seemed like an eternity, although it was only eight weeks, Lewensohn was permitted to resume riding and jumping on Cowboy—but not Ephraim—the new horse on which she was injured. “My goal after surgery was focused on my physical therapy so I could get back to riding. 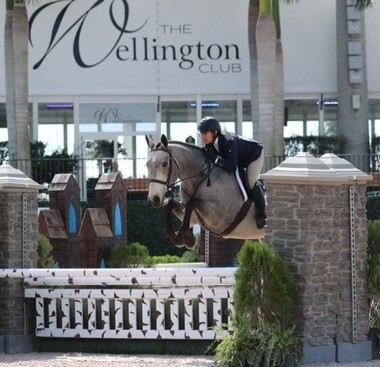 I was scheduled to travel to Wellington, Florida to compete in some of the largest and most prestigious shows in the country, just two months away from my return to the saddle,” a determined Lewensohn said. Lewensohn made it to Wellington with both horses. She and 22-year-old Cowboy competed expertly leaving her looking forward to competing throughout the Midwest with both horses less than a year after surgery. “I am so grateful I was given Dr. Chudik’s name,” Lewensohn said. 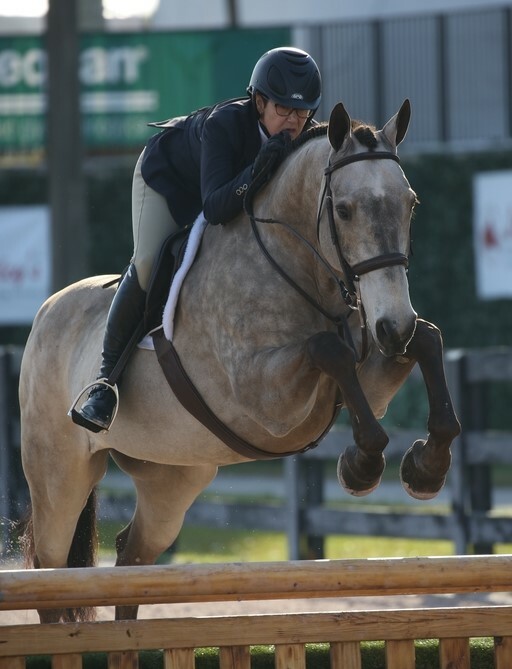 “His surgical expertise and the individualized rehabilitation program he created for me allowed me to return to riding in just eight weeks and competitively show my horses four months after the break,” she added.